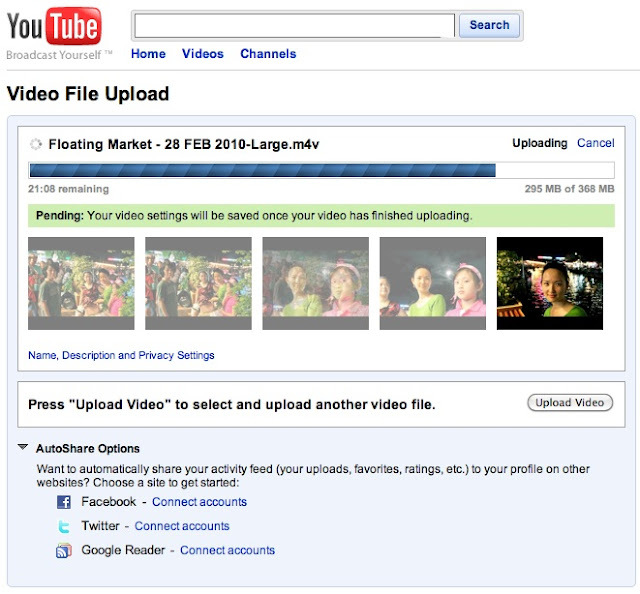 I am now uploading video slides from Floating market trip yesterday. The file size is 368MB which takes around 1:30 hr, and now still waiting for another 18 minutes. After upload completes, YouTube will then need to process the video (render, encode, whatever), which might take sometime. Good thing about YouTube Uploader is that, it is now show the progress indicator as well as actual footage that it is rendering. Just to give you an idea, please find following attached screenshot.